Gendry: It’s not a bad place to grow up, if it wasn’t so cold. Arya Stark: Stay close to that forge, then. Gendry: Is that a command, Lady Stark? Arya Stark: Don’t call me that. 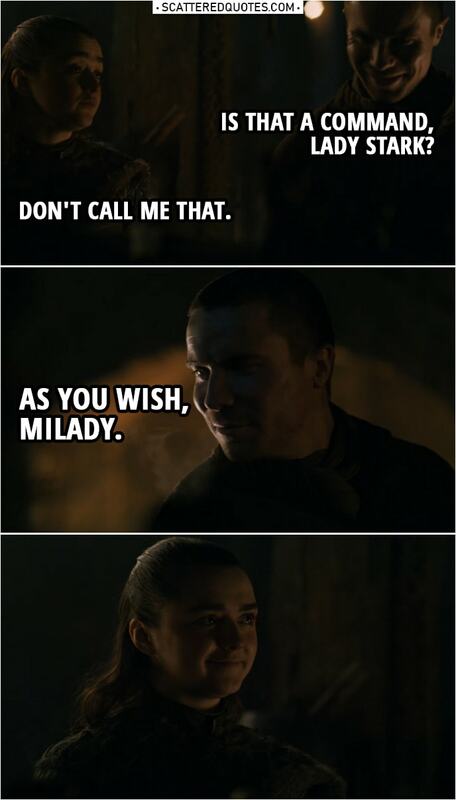 Gendry: As you wish, milady. 15.4.2019 Is that a command, Lady Stark?